his work is actually a vase set, revolving center, and an interlocking top and bottom. In terms of the decoration, it is also a combination of engraving and overall surface patterning. The structure of the vase is quite complex. The outer vase can be dismantled to become two parts, the neck and body, while the upper part of the inner vase is connected to the neck. The lower part employs a tenon-joint system to link with the lower part of the inside of the outer vase. This makes it possible to turn the neck of the vase to make the inner vase spin. Of particular note is that the center of the vase body is divided into two parts, with the rims where they meet fashioned into the shape of a cloud-shaped ju-i pattern. 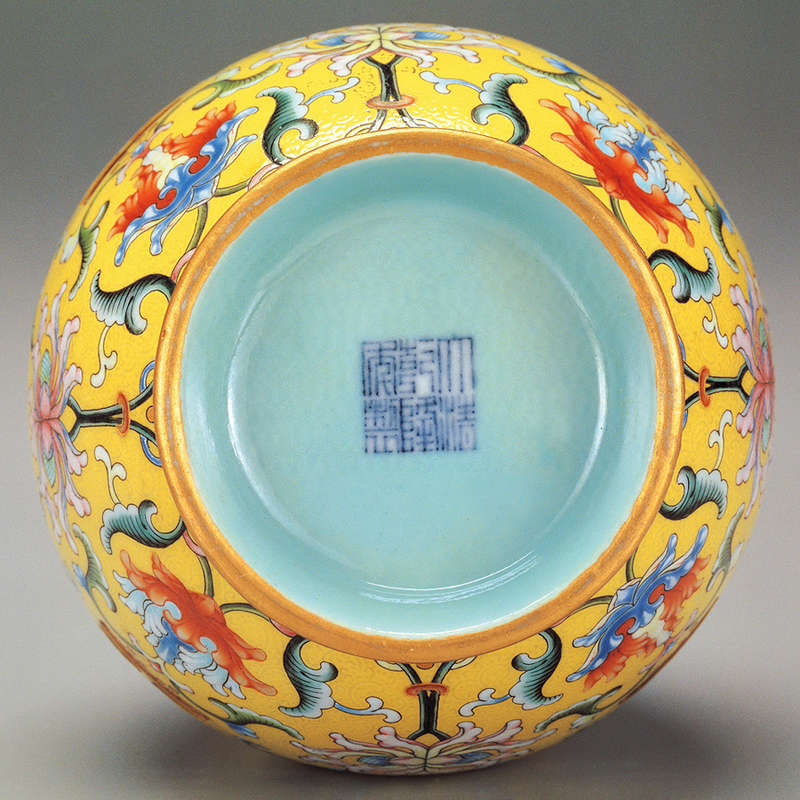 It makes both halves appear distinct yet connected, as the interlocking nature of the vase is fully represented by the top and bottom. In Chinese, this technique also serves as a homonym and a symbol for the notion of a country at peace and her people prosperous.